If you’re tired of sending Venmo requests to your significant other and tracking who will pay for dinner, you’re not alone. With half of millennials combining finances with partners before marriage, it’s clear that many don’t wait to combine money until after they tie the knot. But, even though it might seem easy to open a joint account with your boo, it’s not a decision that should be taken lightly. In fact, when deciding what banking options are best for you and your significant other, it’s key to discuss your finances before cohabitating – and then continue to have money talks on a regular basis. In the meantime, here’s a primer on whether to open a joint account or keep things separate (or both). When is it right to open a joint account? Joint accounts provide ease of use for couples and eliminate the need to constantly send money back and forth. But beyond that, joint accounts make it easier for couples to work toward a shared goal, like saving for an upcoming vacation or a down payment on a house. It does require one of you to close a bank account and there are pros and cons to making that commitment. But, keep in mind that, because joint accounts are equally owned by both people, most couples do not begin their relationship with a joint account. Instead, it is often better for a couple to gradually work toward combining funds. Opening a joint account should not be taken lightly as the account is equally owned by both parties.It also means that either person on the account can withdraw the balance at any time. It also means that if your other half goes through a lawsuit, bankruptcy or debt collection, the joint account can be drawn upon by the government or authorities. Thinking about the worst case scenario may not feel romantic, but it’s necessary. You will be able to pay bills from the same account. You will no longer have to send those annoying Venmo requests or track your money to make sure you’re not paying way more than you should. You and your partner will have more financial transparency. You and your partner won’t have to constantly discuss which account bills will be paid from which account. You may feel less independent. Both people have 100% access to the account. In the event of a break-up, one partner might drain the account and you’ll have no easy recourse. When is it right to keep a separate account? Perhaps you prefer complete financial independence or don’t feel ready to become financially bound to your significant other. Or, maybe you two are still getting to know each other and haven’t yet disclosed income, debt or money matters. Whatever your reason, there’s nothing wrong with keeping a separate bank account. In fact, nearly one-fourth of couples choose to maintain separate checking accounts even after marriage. To this end, separate accounts don’t have to mean completely separate finances. With apps like Honeyfi and Honeydue, couples are able to manage their finances as a team without opening joint accounts. 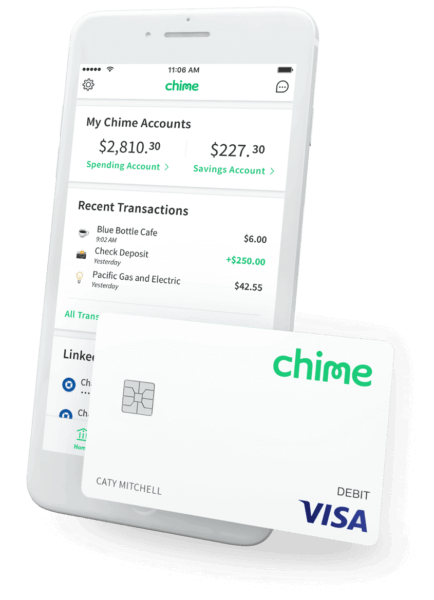 These apps allow couples to choose which credit cards and checking accounts to link and share with their other half. The end result? Household finances are shared and organized in one place. Should you have both a joint and separate account? The good news is that you don’t have to choose between one or the other. Many couples choose to have both. Joint accounts and separate accounts offer flexibility and can have different purposes. For Michigan couple Katie VanArsdall and Melissa Silvia, a combination of accounts just made sense. “We merged finances when we moved in together, but we also wanted to keep our own separate accounts because we both work full-time jobs and make money that we consider to be our money,” says VanArsdall. “But for all of our joint bills, we have a joint account. It’s so much easier to just figure out our monthly expenses and mutually put money from each paycheck into a joint account and pay our joint bills from there. It’s made everything so much easier to have a mixture of both accounts,” she says. The most important thing to do before making a decision is to sit down with your SO and have an honest conversation about goals, preferences, and finances. What are our shared financial goals as a couple? Do we have debt we are trying to pay-off or a big expense we are saving for? Do we have joint expenses and bills? Are there any money guidelines we want to implement as a couple? As you can see, when it comes to joint accounts versus separate accounts, there isn’t a wrong answer. It’s up to you and your partner to decide what’s best for your money sitch. As long as you remember to keep the communication channels open and be open to making changes as you both see fit, you should be on your way to finding your banking groove.